aquarollUSA – Wellness for All. Aquaroll® relies on nature’s most basic movement – the wave. Unlike other aquatic treatments that utilize water alone, Aquaroll® incorporates 30,000 glass beads. The beads and water combine in a soothing rotational movement, creating a compressive and vibratory effect. Blood circulation is one of the most important functions in the body. It supplies oxygen to the brain, our muscles, and other organs – helping them heal. Quite simply, it’s what makes our bodies work. Nerve pain can be of mysterious origin, or be a symptom of many different conditions, including diabetes, cancer, shingles, or injury. Far too many Americans live with this pain every day. Take control of your wellbeing. We sit at the dawn of a new age, where innovations in technology and healthcare have granted us never-before-seen access to self-treat our ailments. 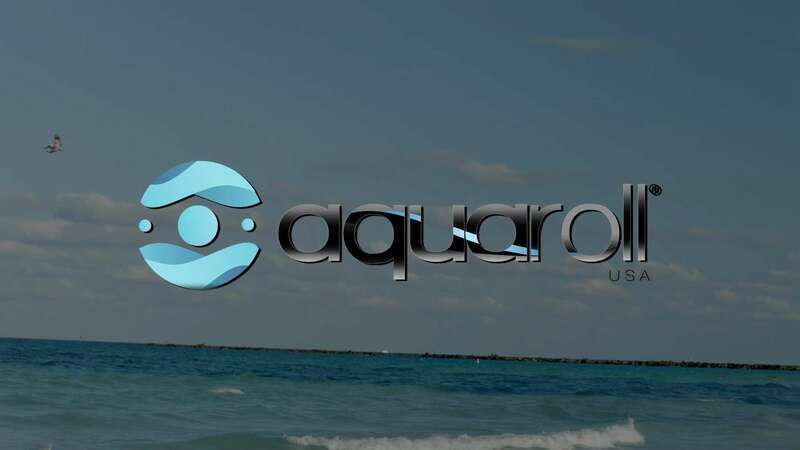 Aquaroll® is designed for this new era. Though not a medical device, it enhances traditional medical treatments and can be used as a stand-alone session or in conjunction with traditional therapy. Aquaroll® doesn’t just treat. It strengthens and rejuvenates our systems – helping the body to heal and remain strong from the inside out. Consistent results. Everywhere. Every time. Unlike anything else, Aquaroll® is used by MDs, PTs, DPMs, RNs, PAs, and everyday humans – all with the same results. There are few things more important to us than our hands and feet. We interact with the world through these constantly exposed extremities. Lack of proper care can lead to pain, limited range of motion, or worse – and certain illnesses, such as diabetes, can have similar debilitating effects. Luckily, we can proactively keep our hands and feet in good health. Thanks to many acupressure and reflexology points, which are associated with our vital organs and muscles, keeping our hands and feet healthy has a big impact on our overall health and well being. More stories from users just like you. Deana is a medical office administrator and presented with bilateral pain and inflammation in her hands, due to her long hours at the computer keyboard. Deana’s doctor recommended Aquaroll® treatments 3 times per week for 4 weeks. She was successfully discharged after the 12 sessions, with no remaining pain or inflammation. Nicholas is a professional soccer player. He presented 8 weeks after a finger-jamming incident on the soccer field with a stiff digit. He was concerned his finger might be fractured or dislocated, since it was not recovering after so much time. Nicholas’ doctor recommended Aquaroll®. After just 2 Aquaroll® treatments, he experienced full restoration of his range of motion. Andreas is a right-hand dominant lawyer. He presented with pain, swelling and discomfort at the base of his right thumb. His pain was so severe that he visited a hand surgeon in Miami while on vacation from Argentina. Andreas had been treated by doctors in the past with steroid injections and was looking for a non-invasive treatment alternative. 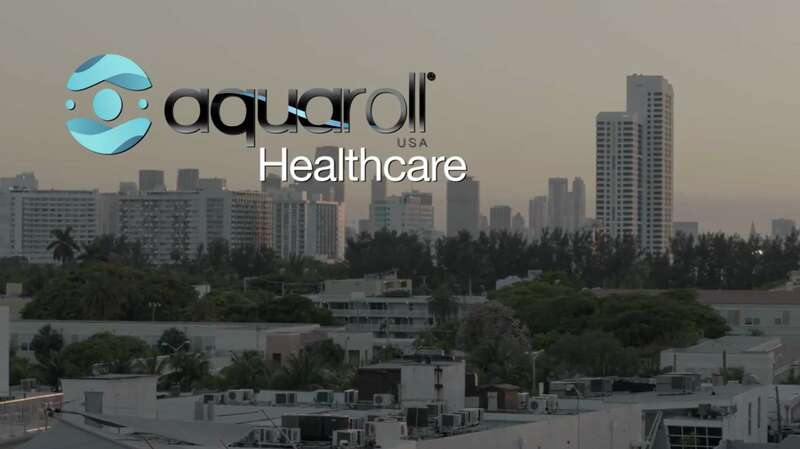 Andreas’ doctor recommended 6 Aquaroll® treatments over the course of his 10-day stay in Miami. Andreas went home to Argentina with decreased swelling, improved function and strength, and an enhanced ability to grasp and pinch with his thumb. Mary presented after a right great toe surgery with pain, swelling, redness, and hypertrophic scarring. Worst of all, these symptoms resulted in difficulty wearing flip-flops and high heels — her favorites. Mary’s doctor recommended 5 Aquaroll® treatments. She and her doctor saw almost immediate results. Jeffrey is a young, active man who works as a butcher in his local supermarket. He presented with a finger (distal digit) amputation after an accident with a meat slicer. His surgeon treated him with debridement and skin grafting. However, the swelling and sensitivity in his fingers remained, making it difficult for him to return to work. Jeffrey’s doctor recommended 5 Aquaroll® treatments. He was successfully discharged soon thereafter with decreased swelling, scarring, and hypersensitivity. Alexandra is right hand dominant and spends a lot of time in front of a computer. She presented with numbness and tingling in the right hand. Nerve studies revealed mild diagnostic evidence of carpal tunnel syndrome. Alexandra wanted to avoid surgery, so her doctor recommended 12 Aquaroll® treatments, over the course of a month. Alexandra’s symptoms resolved completely and she was able to successfully avoid surgery. Her doctor then placed her on a maintenance schedule of Aquaroll® once a week for 4 weeks. 1 year post-treatment, she still hasn’t seen a recurrence of symptoms. Lucia is a sous chef and presented initially with numbness and tingling in her right hand. Nerve studies revealed carpal tunnel syndrome requiring surgical intervention. After an open carpal tunnel release, her symptoms resolved and she returned to work, where she was asked to continue cutting more than 300 avocados per day for 4 weeks. Not unsurprisingly, she developed pain, swelling, hardness and redness at the incision site. It got so bad that she could hardly touch the palm of her right hand without severe pain. Lucia’s doctor recommended she come for Aquaroll® treatments several times a week. She saw an immediate improvement, with scarring, sensitivity, and redness all diminishing. After 23 sessions, Lucia returned to full duty at work. One year later, she is still symptom free. David presented with a broken wrist (distal radius fracture) and a great deal of post-injury pain and swelling. After surgery, his doctor recommended Aquaroll® instead of traditional therapy to aid in his recovery — treatments 3 times a week for 4 weeks. After 2 months, David’s surgeon successfully discharged him with full range of motion and excellent functional use of his hand. Martha is a physical laborer whose body has seen some hard times. She presented with extreme pain, limited range of motion, an inability to close her fist, and a rigid wrist. A previous distal radius fracture was treated non-operatively and had resulted in a mal-union. Her surgeon performed an osteotomy to correct the deformity and recommended Aquaroll® as her post-operative therapy. Martha’s was a severe injury and required an extensive recovery period. She received 30 Aquaroll® treatments over a 4-month period. She was able to regain her range of motion without pain. Ruben presented after a construction accident with a crush injury with a laceration to his right index finger. His workers comp injury had left him with hypertrophic scarring, swelling, and decreased range of motion with hypersensitivity. Ruben’s doctor recommended 12 Aquaroll® treatments over the course of a month. He was successfully discharged after his final session, having regained his full range of motion and greatly lessened his scarring. Think Aquaroll® could be right for you? Have a story to share? We’d love to chat!